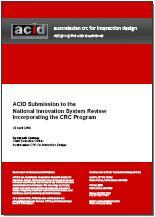 On 28 April, ACID provided a submission to the federal government's National Innovation System Review. 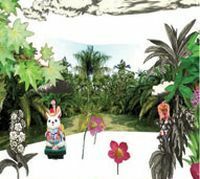 The submission makes a number of general observations about the CRC experience as it relates to innovation, but also provides insights from ACID's unique vantage point. Thank you to everyone who contributed to the development of the submission - your suggestions and ideas were very welcome. It gives us a good starting point for our new CRC bid over the coming months. Italian magazine for new media, hacktivism and emusic Neural Magazine has published its review of the ACID publication Intimate Transactions: Art, Exhibition and Interaction within Distributed Network Environments. 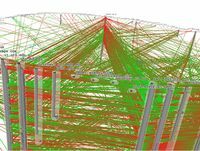 Intimate Transactions is an outcome of one of ACID's primary research agendas: exploring the potential of interaction within multi-user environments. It represents the product of ten years of effort to build critical mass and capacity for Australia's creative industries. If you find it difficult to manage all that email sitting in your Inbox then you're not alone. Over the past 10 years we have adapted email to our own purposes quite beyond the simple act of communicating with a colleague, friend or customer. These days your Inbox is just as likely to double as a task manager, not to mention being a repository for all those mailing list subscriptions. ACID's Loupe project, which explores the visualisation of electronic data, could soon solve your email overload problem. The Loupe team is about to deliver a web-based data visualisation prototype for email that will work on any operating system. The prototype will allow you to make sense of your Inbox visually and in 3-D, giving you the ability to look at those emails from a different perspective. As part of ACID's work on Adaptive Media, Andrew Brown and Andrew Sorensen have exhibited at the VT2: International Digital Arts Projects exhibition held at The Block at QUT's Creative Industries Precinct. They exhibited a work called "Quanta", an interactive (adaptive) audio visual installation that exploits ACID's research into real-time interactive processes that link video and audio data. "Quanta" is a live installation with audio and video data transformation occurring in real-time from within the installation space. Participants are encouraged to engage with a reflection of their own visual and auditory input in the hope of providing a more intimate understanding of the particles of light and sound. VT2 is free and open until 24 May 2008. 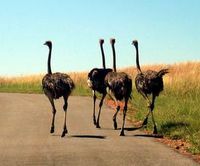 ACID's Education Program is funding two "birds of a feather" workshops on the topics of annotation and visualisation so that researchers can share experiences across projects and outline a research agenda for each theme. The workshops will be facilitated by Kate Freebairn and Ali Kerr from ACID Services. Expressions of interest should be sent to michael@acid.net.au for the annotation workshop and to ian@acid.net.au for the visualisation workshop. For more information contact barbara@acid.net.au. Our annual ACID Education Day was held on 16 April at QUT (Kelvin Grove) and was attended by 16 new and continuing students from QUT, UTS, RMIT and Murdoch University. The day gave ACID postgraduate students an opportunity to get together, learn about ACID's education program, and connect with their peers and ACID researchers. 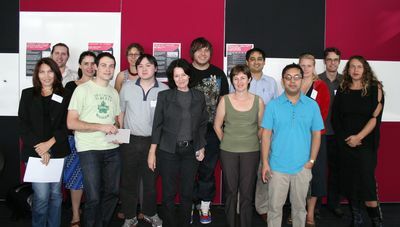 This year's program covered the student experience at ACID; a workshop facilitated by Ali Kerr and Kate Freebairn on students' projects; a workshop run by ACID's Education Manager, Dr Barbara Adkins, on identifying the knowledge contribution in students' research; and some forward planning for education activities this year. These include further postgraduate training workshops and a session to support students' preparation of papers for the annual OZCHI conference to be held in Cairns in December. ACID staff and researchers were excited to hear of the innovative work being produced through students' projects. One of the students commented that as an outcome of the day, "we can all feel the clear support of ACID. Looking forward to the next time!" The next student workshop will focus on preparation of papers for OZCHI and will be held by videoconference on Wednesday 28 May. 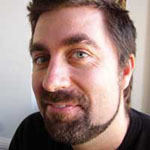 ACID Project Leader Jeremy Yuille has been invited to speak at the Web Directions: UX08 conference held this month in Melbourne. The conference will focus on concepts, technologies and techniques for building great user experiences on the web, with a particular focus on designing for email and data analysis. Jeremy will be presenting research and concepts developed as part of ACID's Loupe Project. Building on 2007's Vernacular Terrain exhibition, VT2 presents vibrant, innovative screen-based and photo-media works from international and Indigenous Australian new-media artists. ACID's Andrew Brown and Andrew Sorensen exhibited "Quanta", an interactive audio visual installation on the opening night of VT2. Expressions of interest: email michael@acid.net.au for the annotation workshop and ian@acid.net.au for the visualisation workshop. For more information contact barbara@acid.net.au. Industry Tidbits is also available via ACID's RSS feed. Subscribe to the feed. Google App Engine: When will Microsoft field a competitor?